The Australian Square Kilometre Array Pathfinder (ASKAP) is the world's fastest survey radio telescope. Designed and engineered by CSIRO, ASKAP is made up of 36 'dish' antennas, spread across a 6km diameter, that work together as a single instrument called an interferometer. The key feature of ASKAP is its wide field of view, generated by its unique phased array feed (PAF) receivers. Together with specialised digital systems, the PAFs create 36 separate (simultaneous) beams on the sky which are mosaicked together into a large single image. ASKAP’s ‘field of view’ is depicted showing the 36 beams as individual circles. We get all of this in one go. By comparison, the field of view of a traditional telescope would be a single slightly smaller circle. The moon diameter is half the diameter of one of these circles. ASKAP's rapid survey capability makes it the world’s fastest survey radio telescope. 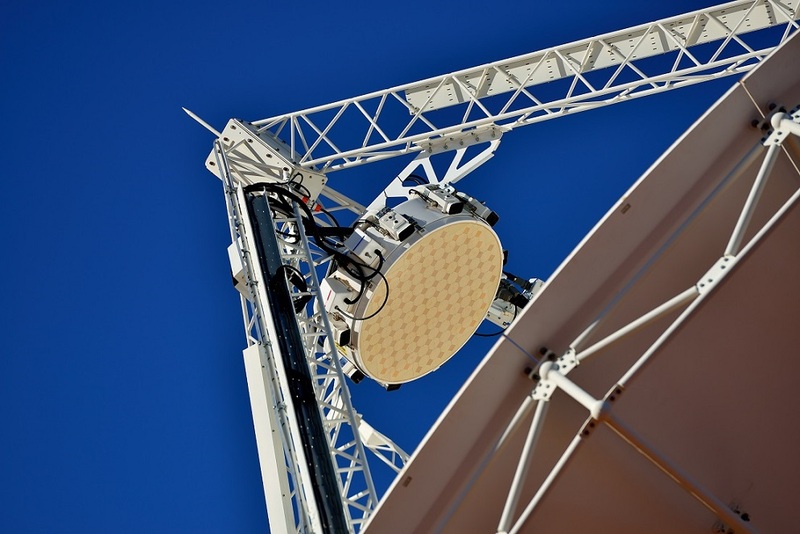 The PAF receivers have been specifically developed for ASKAP by CSIRO and this is the first time this type of technology has been used in radio astronomy. Traditional radio telescopes are good at providing a detailed view of a distant object. However, what astronomers often want is to study large volumes of space at once. With a traditional radio telescope, we can only do this by painstakingly looking in lots of different directions at different times. ASKAP can image (in 3D) large areas all at once, with much greater sensitivity than previous all-sky surveys. ASKAP has also been designed to be extremely fast - it will be able to detect millions of radio sources in a matter of days, opening new fields of research. 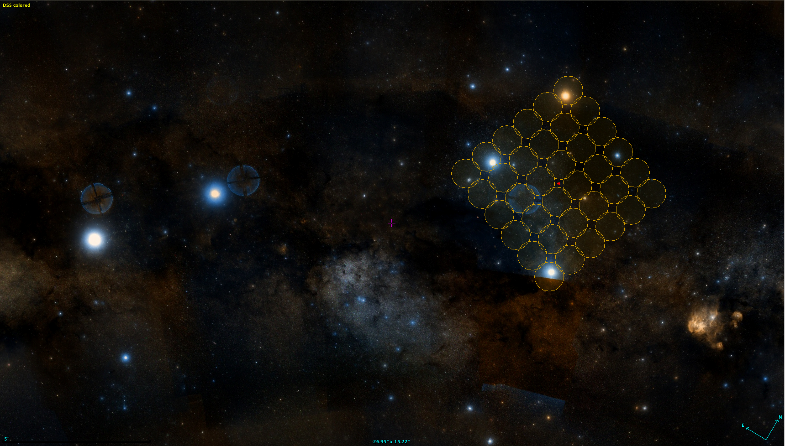 Astronomers are currently analysing data from the first series of ASKAP surveys. ASKAP Early Science, using data from just 12 ASKAP antennas is already showing exciting results. Next year when ASKAP commissioning is complete and all 36 antennas are working together, ASKAP will map galaxies and enable new scientific discoveries that will reveal to us the structure and evolution of the Universe. So we recommend staying tuned for all the latest ASKAP news! A phased array feed is an advanced electronic device which converts radio waves into electrical signals that astronomers use to create images. Each PAF is made up of 188 individual receivers, positioned in a chequerboard-like arrangement. Most radio astronomy receivers can only pick up signals coming from the direction the dish antenna is pointing. In contrast, our PAFs are designed to detect signals coming from many directions simultaneously. This has a similar effect to a wide-angle lens, allowing each antenna to see 36 times more than a traditional radio telescope receiver. Because the signals we study come from very distant objects, they are extremely weak by the time they reach Earth. Our dish-shaped antennas help to boost the signal strength of these weak, natural radio waves but the receiver must do the rest of the work with its sensitive amplifiers. The PAFs were assembled in our CSIRO workshops in Sydney – for 36 PAFs, there are some 6 million parts, including 20,000 printed circuit boards. Each antenna has 216 optical fibres that transport data to the MRO Control Building – that’s a total of 7776 fibres. The total length of this fibre is approx. 15,500km – enough to wrap around the Moon 1.5 times! These fibres transport data at a rate of 1.9 Tb/s from the antennas to the correlator for on-site processing. After this processing takes place, the data is sent along high-speed optical fibres (40 Gbit/s) down to the Pawsey Supercomputing Centre in Perth. Remote array station capability located in NSW, approximately 3,000 km from the core site. With the 12-antenna sub-array that has been operating since October 2016, we have collected and archived nearly 2 PB of early science data, which is being processed and imaged by our global science team members. 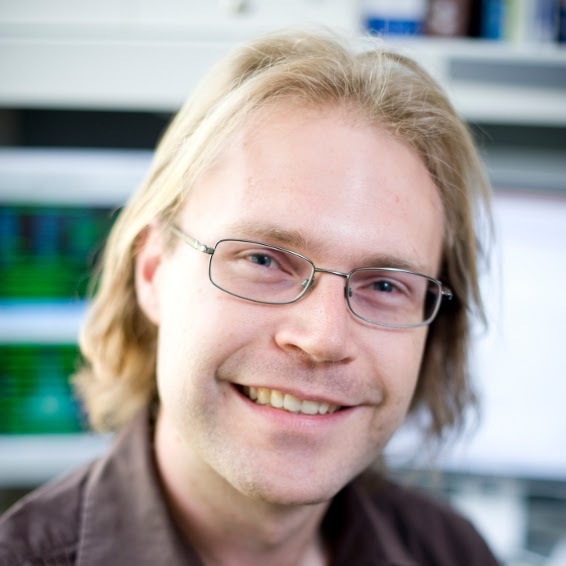 The results will be made available to the world on the CSIRO ASKAP Science Data Archive when it has been shown to pass quality control standards. What are some of the early science results from ASKAP? ASKAP’s extremely wide field of view makes it very good at detecting transient events and variable sources. Astronomers have already recorded an explosive event known as a fast radio burst (FRB) in the distant Universe. Scientists haven’t worked out what causes these sudden bursts of radio emission yet but ASKAP is set to become the fastest FRB finding instrument in the world. ASKAP has also been used to detect extremely distant objects, including a recently-discovered galaxy 5 billion light years away. The discovery was made via spectral line absorption - using radio frequencies that are only free of human interference at an extremely remote site like the MRO. Studying objects at this distance provides a window into the past and gives us new insight into the history and evolution of the Universe. One of the key science goals of ASKAP is the study of neutral hydrogen emission from galaxies. The GASKAP science team recently used ASKAP early science data to make the best image of hydrogen gas structures in the Small Magellanic Cloud, a dwarf galaxy that is slowly merging with the Milky Way. This image reveals the inner workings of the galaxy in intricate detail and was made in a small fraction of the time required to observe the previous record-holder. 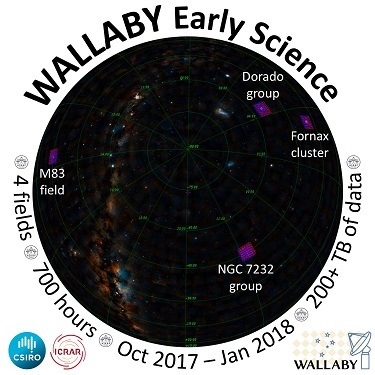 The WALLABY survey science team has collected just over 700 hrs of commissioning and Early Science observations on four different science fields: the NGC 7232 and Dorado groups, Fornax cluster, and field around the M83 spiral galaxy. The ASKAP Early Science Program started in October 2016 using an array of 12 antennas. Using the six-antenna Boolardy Engineering Test Array (BETA), the ASKAP team produced exciting early science results. ASKAP is located at CSIRO's Murchison Radio astronomy Observatory (MRO) in Mid West Western Australia (800 km NE of Perth). 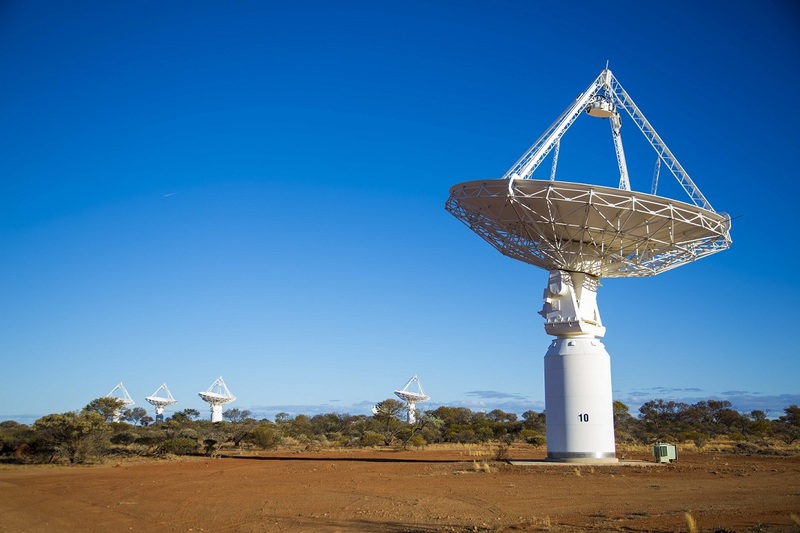 The MRO has been purpose-built for ASKAP and for hosting international radio astronomy projects including EDGES, the Murchison Widefield Array and the future Square Kilometre Array. CSIRO acknowledges the Wajarri Yamaji as the traditional owners of the land on which the MRO is situated and we participated in negotiating an Indigenous Land Use Agreement (ILUA) for the MRO to operate. The ILUA provides for educational, social and economic benefits flow to the traditional owners of the site. It includes a cadetship program that runs for the life of the telescopes, our staff also visit the remote Pia Community School as part of a student mentoring program and we’ve co-created resources on Wajarri culture and astronomy. A new ILUA for the future Square Kilometre Array telescope will expand on these benefits. The Australian and Western Australian Governments have established a ‘radio quiet’ zone to protect the MRO site from noise created by modern life. The zone is an area 520km in diameter, centred on the MRO, in which licenced communications and electronic devices such as television transmitters, mobile telephones base stations and CB radios are controlled to limit electromagnetic interference to the radio telescopes on site. The MRO is closed to the public but you can take in all the awesome infrastructure with this fly over the site. The recent release of this stunning image of the Small Magellanic Cloud (SMC) made with data taken from 16 of ASKAP's 36 antennas highlights ASKAP’s great speed and resolution. The last time the SMC was imaged by a radio telescope, it took 320 pointings (by ATCA). In contrast, this new image was made in one shot – over three nights – using only 16 of ASKAP’s 36 receivers. Data from Parkes was added to pick up faint details. The new image reveals more gas around the edges of the galaxy and these features are more than three times smaller than we’ve seen before - enabling examination of the detailed interaction of the SMC and its neighbouring galaxies. The SMC is one of our nearest and smallest galactic neighbours - the bad news for this dwarf galaxy is that it's on track to be (eventually) gobbled up by the Milky Way - that's quite an appetite!